Visit Kinneil and the Kelpies! 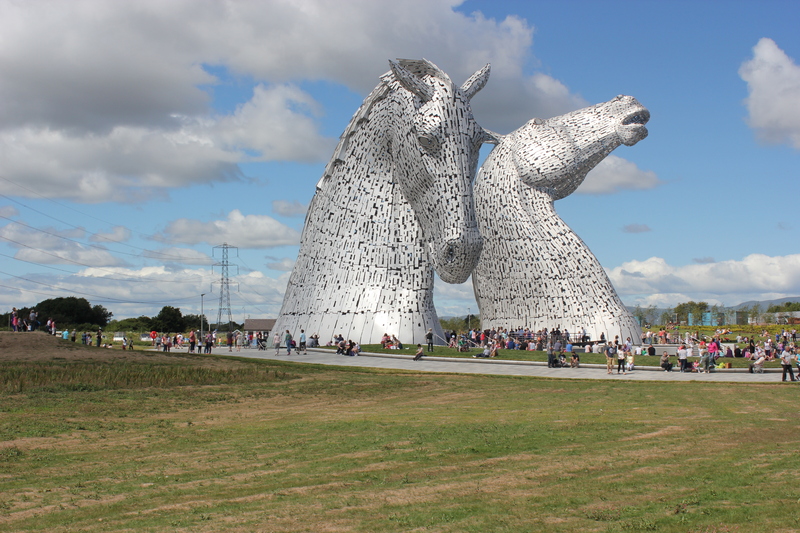 See the wonderful Kelpies between Falkirk and Grangemouth and the fantastic Kinneil Estate in the same day! The new Helix Park – home of the Kelpies (the world’s largest equine sculptures) – is just under 7 miles away from Kinneil Estate in Bo’ness. Visit both on the same day FOR FREE. The Helix is just next to the impressive Falkirk Stadium. If you’re using a SAT NAV type in the postcode “FK2 9EE”. The Kelpies and Helix car parks can get very busy. If you don’t mind a short walk, park at the Stadium. It’s free on non-match days, and you should be able to get a space easily. A typical day out could mean you’d arrive at the Helix for 10 a.m.
You can visit the Kelpies for free (but you may want to pay a little for a guided tour although it’s not compulsory). Pre-book any tours to avoid disappointment. The surrounding park also includes walks, a lagoon, water jets and splash play areas for children and a fantastic free adventure zone! Check out the Helix website or its Facebook page for updates on the latest events and attractions. You could spend all day at the park – but you also want to visit Kinneil . . .
As you head back to your car around 12.30 p.m. you could pop into Cafe Westfield – inside the Stadium – for a snack or some lunch. You can also get some lovely food in the new Helix Visitor Centre (overlooking the Kelpies) and the Horsebox Cafe (right behind the equine sculptures). In the afternoon, head over to Kinneil, on the outskirts of nearby Bo’ness. Use our map below for details. You’ll find Kinneil Museum open six afternoons a week, from 12.30 p.m. until 4 p.m. (except Tuesdays). There’s also woodland, ponds, old buildings and more to discover. See our attractions page for details. The museum is FREE to visit and includes an audio video show. Kinneil House is also open on selected days. See our homepage for the next open day. GETTING THERE: Follow the brown and yellow tourist signs around the area. SEE: Kelpies, lagoon, wetlands, splash play area, children’s adventure zone, and lots of great paths. COST: Admission to the park is free. A guided tour of the Kelpies is optional. EAT/DRINK: Restaurant/cafe at Helix Visitor Centre (beside Kelpies); Horsebox Cafe and Gift Shop (behind the Kelpies); Plaza Cafe at Lagoon (beside children’s play area). Also catering kiosks around the park. Cafe Westfield at Falkirk Stadium. GETTING THERE: Follow the brown tourist to the Bo’ness & Kinneil Railway – then signs to Kinneil House, Museum and Estate. SEE: Kinneil Museum, Kinneil House, remains of Kinneil Church, Roman Fortlet and James Watt’s Cottage. Woodland and lots of paths. COST: Admission to the park and parking is free. Admission to the museum is free. The House is open on selected days. Again free. EAT/DRINK: The nearby Corbie Inn and Richmond Park Hotel provide bar meals. There are also a range of restaurants and cafes in Bo’ness Town Centre – a short drive or walk from the estate. 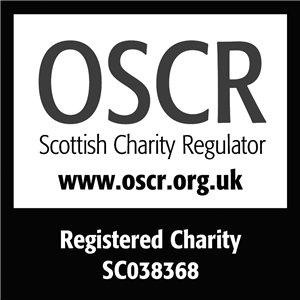 This entry was posted in Uncategorized on July 31, 2014 by Friends of Kinneil.